The famous saying that's on every bottle of Bell's Blended Scotch Whisky. And although the literal meaning is 'Before you go', what we're really saying is 'Stay a little a longer and share a dram'. After all, when you've got good friends, good whisky and good tales to tell why cut the occasion short? 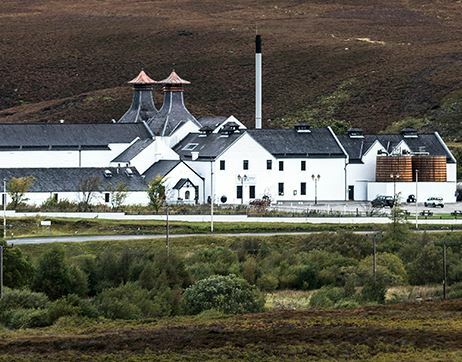 So now you're here why not stay a while longer and have a look around the world of Bell's, and see the strength of character that makes their history and their whisky. First planned in 1896 by the sons of John Dewar, Dewar’s Aberfeldy Distillery is the only Scotch whisky distillery built by the Dewar family. Dewar’s was already a highly successful brand of blended whisky, renowned for its quality, and the company needed more single malt whisky to use in its blend. 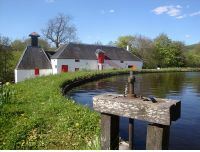 There were a number of reasons behind the decision of Tommy and John Alexander Dewar to build their whisky distillery in the heart of Highland Perthshire, on the outskirts of the village of Aberfeldy. The presence of a superb natural water source in The Pitilie Burn (or small river) which runs past the distillery into The River Tay, was undoubtedly a big factor in the decision. The gold-rich waters of the Burn are used to make Aberfeldy whisky to this day. 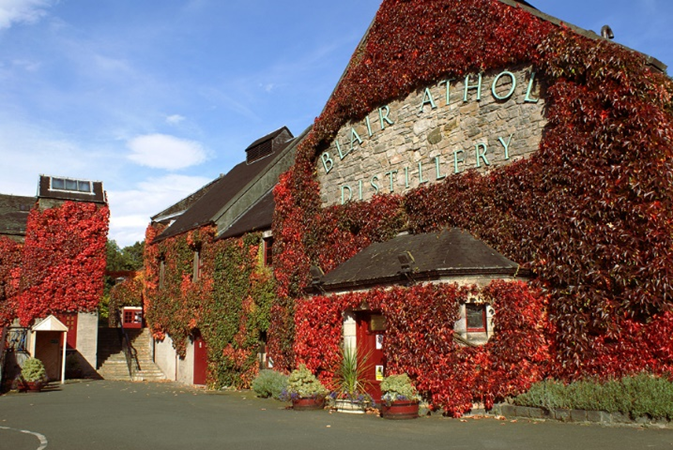 There were also excellent transport links by train to nearby Perth, bringing fuel and barley to the distillery, and returning the finished product to be blended and bottled. This made the process of bringing the whisky to market very efficient. The line is no longer open, but a steam engine with carriage bearing whisky barrels remains on the site to this day. The final reason may have been a sentimental one. The humble croft where our founder, John Dewar, was born, is just three miles from Aberfeldy in the small hamlet of Dull, so the building of Aberfeldy by his sons was a homecoming of sorts.